Talga Resources recently announced its new graphene commercialization strategy, made possible by the growth and scale-up of Talga’s pilot plant facility in Germany. One of the premier industry sectors identified by Talga was metal pre-treatment coating. 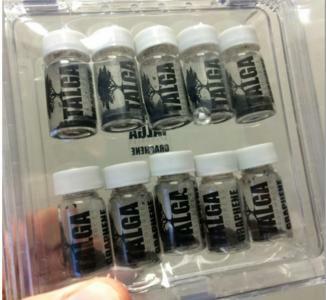 Talga now announced that it manufactured its first graphene coating product, and delivered it to its industry partner. This partner is highly likely to be Tata Steel - with whom Talga has been collaborating since the end of 2015. Talga has filed a patent application over the coating composition and production method and is also testing the coating at research institutions in India and the UK. If these tests succeed, Tata plans to pursue commercial opportunities including licensing and royalty arrangements with third parties. Talga also filed for a global trademarks - Talphene is the company's new brand for industrial scale graphene products. Talga Resources is a public company and the company recently announced it will raise $8 million in a private placement.